Portland, ME – Lorraine E. (Gilbert) Webster, 75, of Portland, passed away peacefully on Thursday, August 16, 2018 surrounded by her loving family. She has joined her husband Robert E. Webster Sr., who passed away on February 26, 2016. 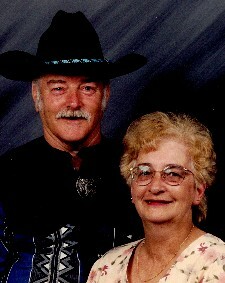 The two were married for almost fifty-nine years and are now together again in heaven dancing forever among the stars. Lorraine was born on October 24, 1942 in Old Town, ME a daughter of the late Louis R. & Velma E. (Stairs) Gilbert. She worked very hard as a CAN for over thirty years in several nursing homes in the Portland area. Lorraine's last job was at St. Joseph's Manor; she loved her job as it gave her great pleasure helping her patients. Lorraine is survived by her three siblings Ronald Gilbert and his wife Jean, Jackie Miller and her husband Chuck and Carol Ann Proctor and her husband Stan. She also leaves her children Robert Webster Jr. And his wife Shannon, Pam (Webster) McLeod and her husband Victor Sr., Richard Webster and Scott Webster and his wife Michelle; as well as her beloved grandchildren Victor McLeod Jr. and Vannessa McLeod Chapman and her husband Michael, Andrew Wilcox, Shannon Price, Dustin Webster, Brittney Webster, Alethia Mello and Katie Leclair and her great grandchildren Michael and Emylee Chapman and finally her loving dog Cody. Relatives and friends are invited to attend a memorial visitation on Thursday, September 6, 2018 from 10 – 11 a.m. at the Wilde Memorial Chapel at Evergreen Cemetery, 672 Stevens Ave., Portland, ME. A Memorial service will be held at 11 a.m. at the Chapel and burial will follow in Evergreen Cemetery.